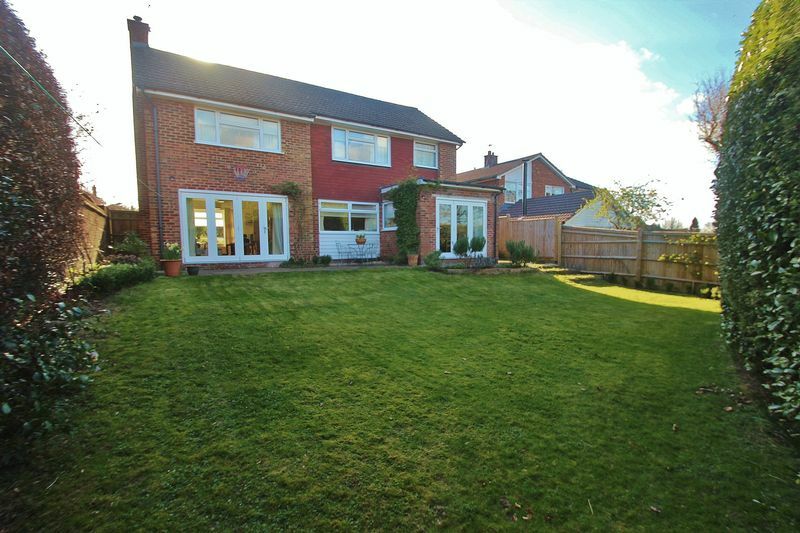 The property forms a lovely family house, with bright and spacious accommodation, which has been cleverly altered by the existing owners, and previously extended, providing four bedrooms, family bathroom, to form a fabulous open plan ground floor living accommodation, with large double glazed windows, modern boiler and attractive gardens. 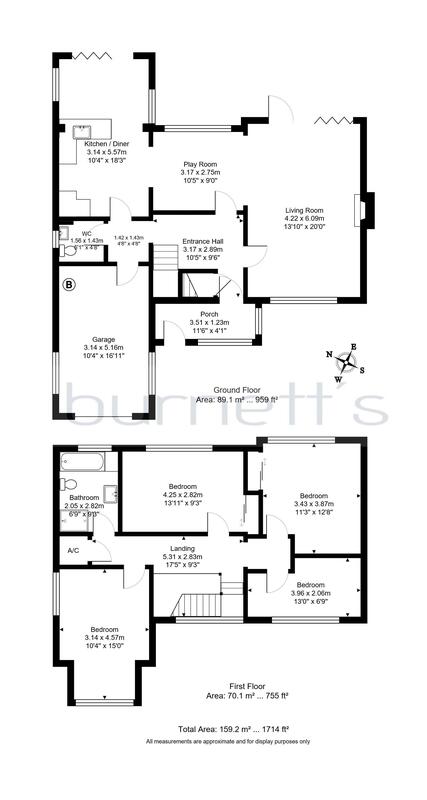 The house is approached through a light, airy and useful porch which via the front door leads to the entrance hall with stairs to the first floor, cupboard, door to cloakroom with WC and basin and door to the integral single garage, offering scope to convert into additional living space, if required, subject to obtaining the necessary consents. 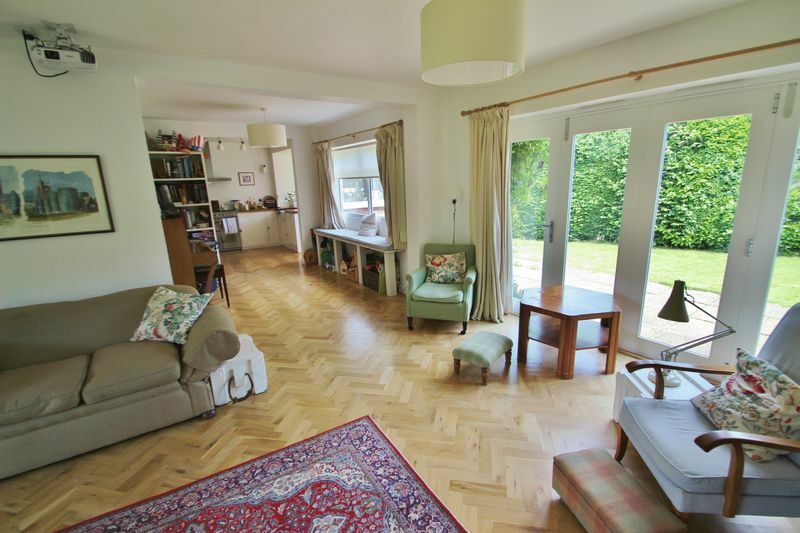 Three further doors from the hall lead into the large open plan space, which forms a kitchen/breakfast room, music/dining/family room and the sitting room area, all open plan, with solid oak parquet flooring throughout and two sets of bi-fold doors to the rear garden allowing for an excellent entertaining space. 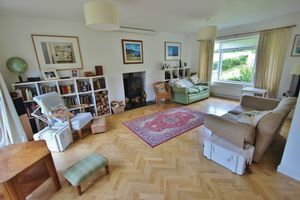 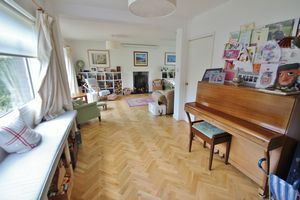 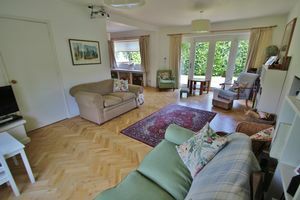 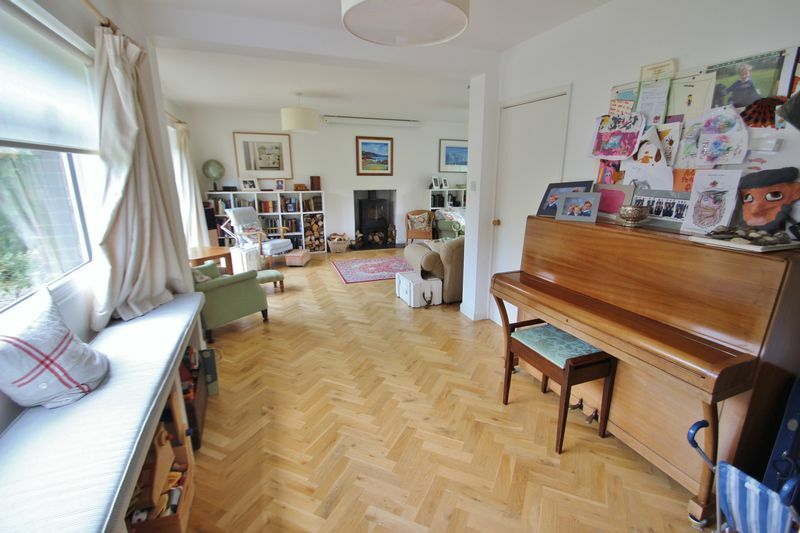 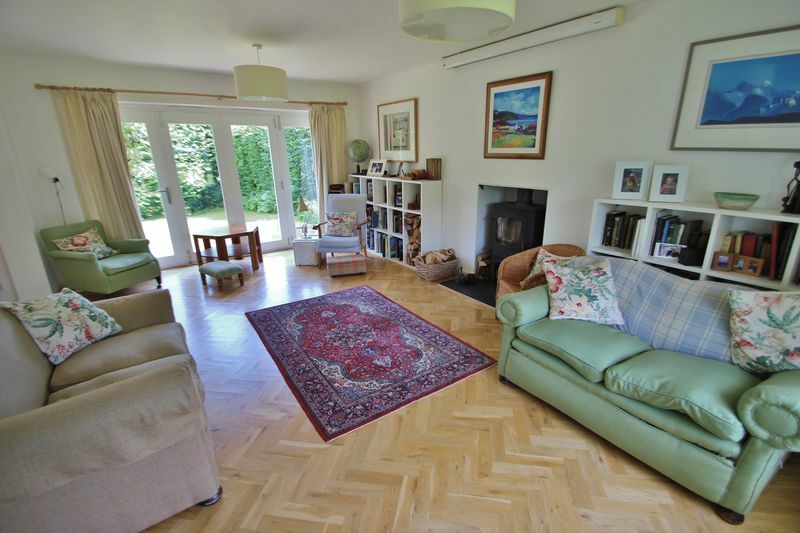 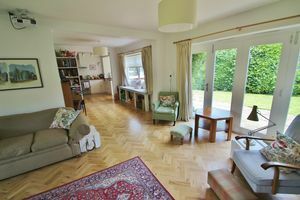 The sitting room area also enjoys a window to front, forming the dual aspect wit the doors to the rear garden, plus an attractive fireplace with wood burner, and the vista through to the kitchen, via the music/family room/dining space in between. 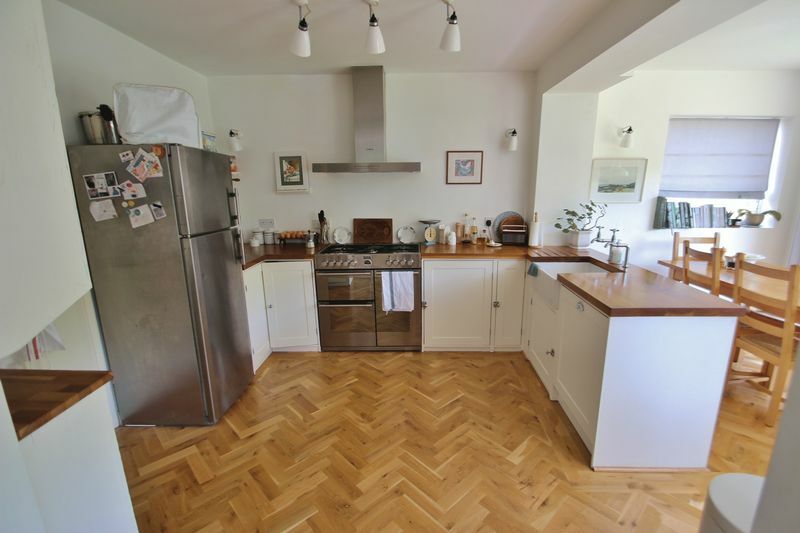 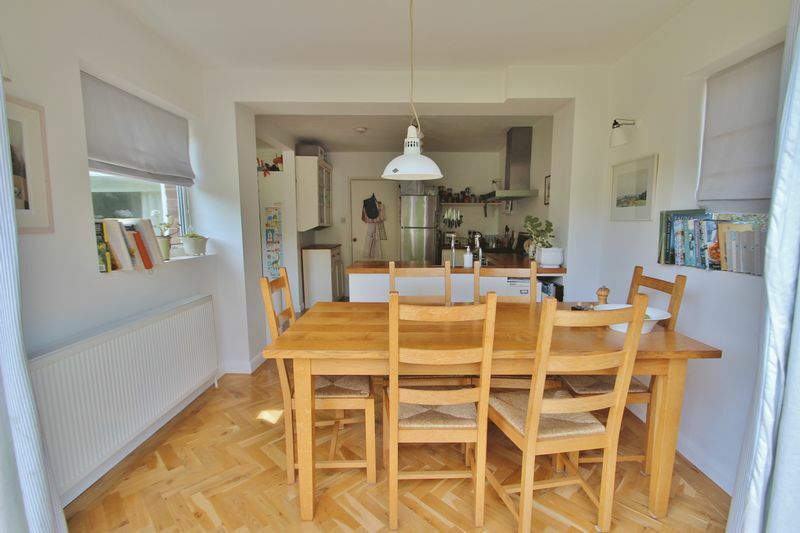 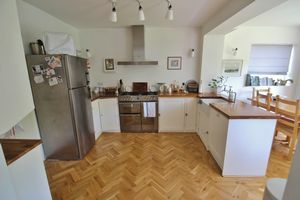 The kitchen comprises a range of painted cupboards and drawers, with oak block worktops, etched drainer to an inset ceramic sink, integrated dishwasher, range cooker and hob and space for a fridge/freezer. 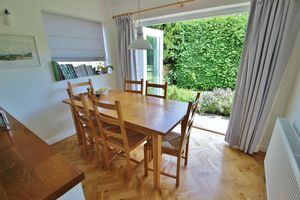 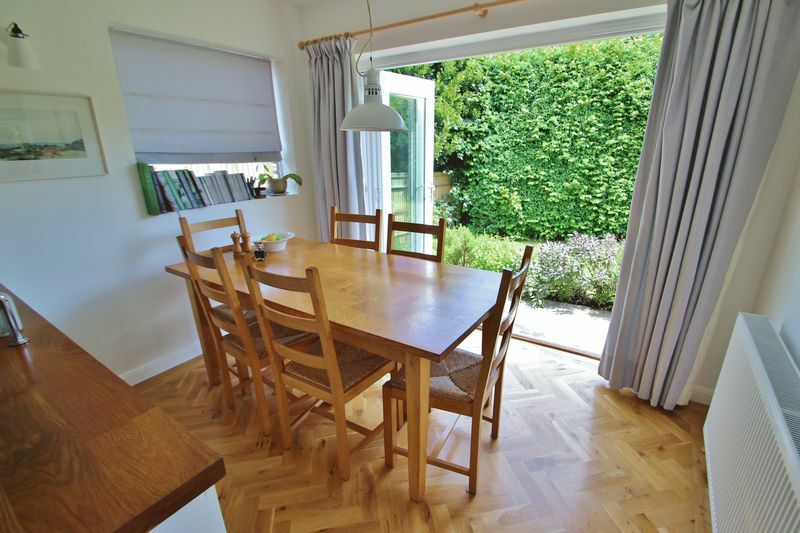 There is space for a table and chairs by the folding doors to the rear garden. 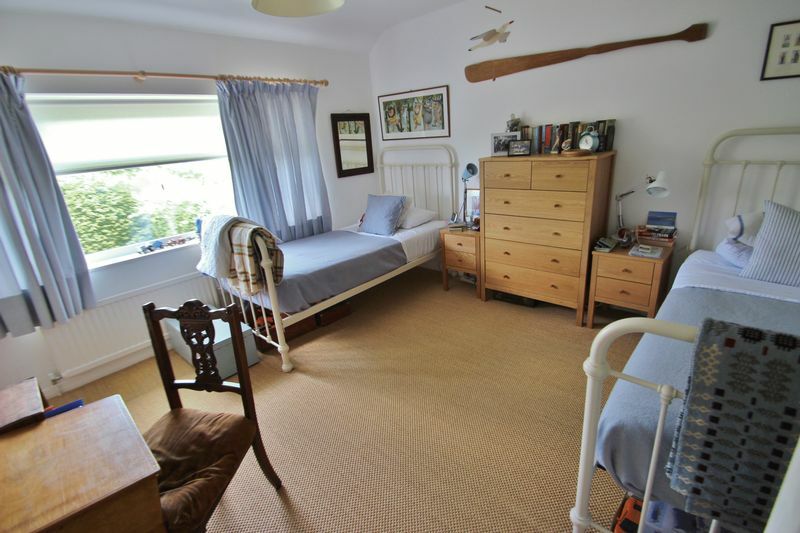 The first floor landing has a window to front and access to all rooms upstairs. 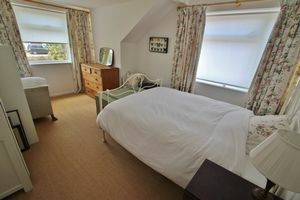 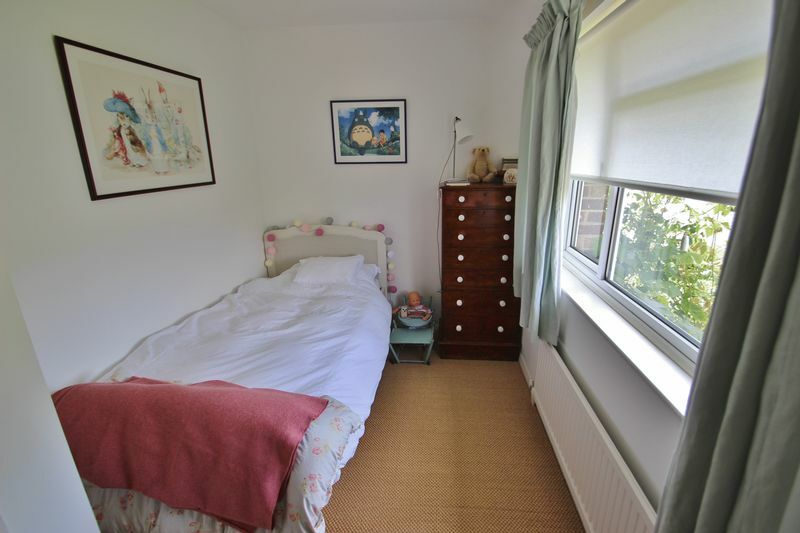 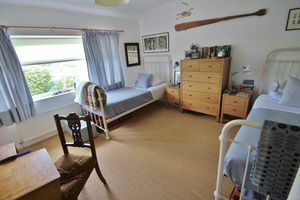 There are three double bedrooms and a fourth good size single bedroom. The master bedroom enjoys views from the rear facing window and built in cupboards. 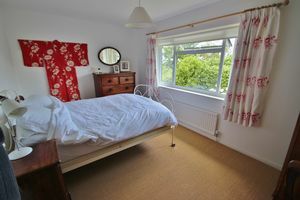 The second bedroom also faces the rear, whilst the third enjoys windows to front and side, and the fourth bedroom has a window to front. 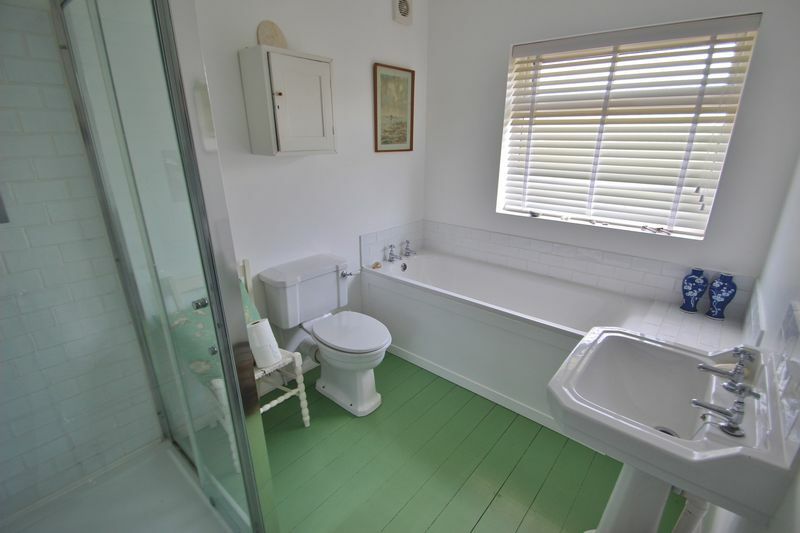 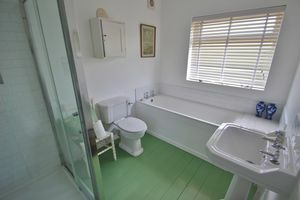 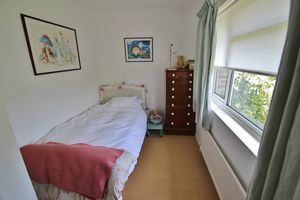 The bathroom is a generous size, with bath, separate shower, WC and basin, painted wooden flooring, part tiled walls, towel rail and window to rear. 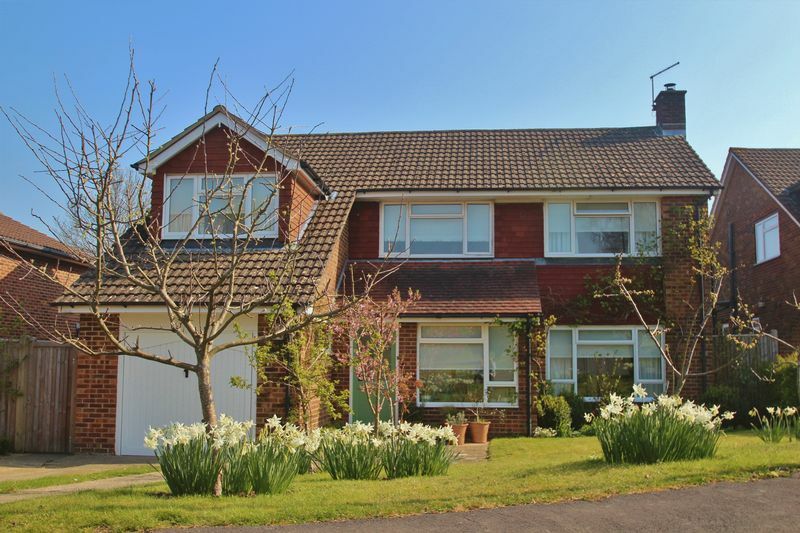 Outside, there is a lovely front garden with several varieties of fruit trees and flower bed borders, otherwise laid to lawn, with a driveway and off road parking to one side. 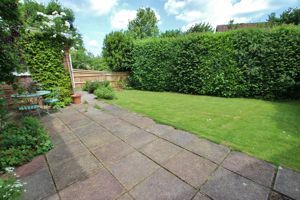 A gate leads to a side area with bin store, raised vegetable patches and access to the rear garden, with lawn, flower bed borders, rear hedging and area of patio. 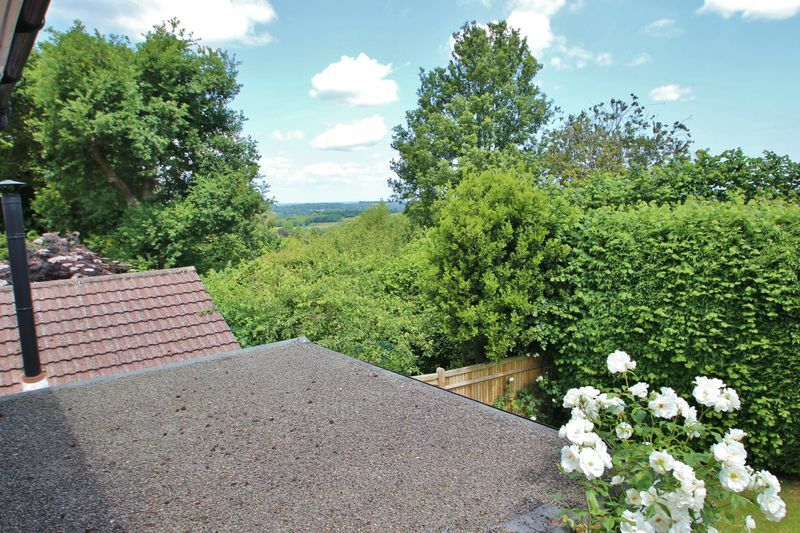 There are also more fruit trees and a lovely climbing rose. The property is located in the very popular Sparrows Green area approximately a mile to the High Street and mainline station. 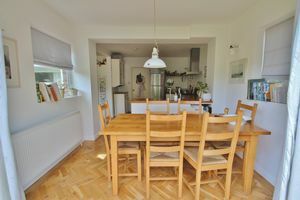 From a shopping perspective there can be found a very good and newly opened local supermarket, a family run butcher’s, greengrocer, chemist, delicatessen, a high quality gift shop and ladies outfitters, an excellent library and very well stocked and traditional Post Office and Book shop.